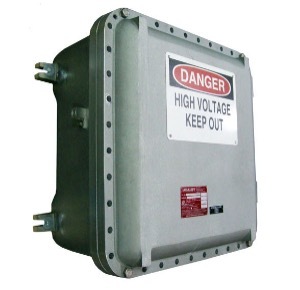 The XHVX series of high voltage termination enclosures are designed for use in explosion proof / flameproof applications. Using Adalet’s standard cast aluminum explosion proof junction boxes, the XHVX enclosures include the same connection options and the HV4X enclosure and are approved for use in Division 1 & Zone 1 applications which require explosion proof / flameproof ratings. XHVX enclosures carry an IP66 rating and designed for high voltage applications with maximum electrical ratings of 8kV and 1,000 amps.